When you’re looking for ancient architecture in Rome, the first things that come to mind are: the Colosseum, the Pantheon, and the Forum. Maybe even in that order. But the early Romans weren’t just great at putting together tall, majestic buildings. 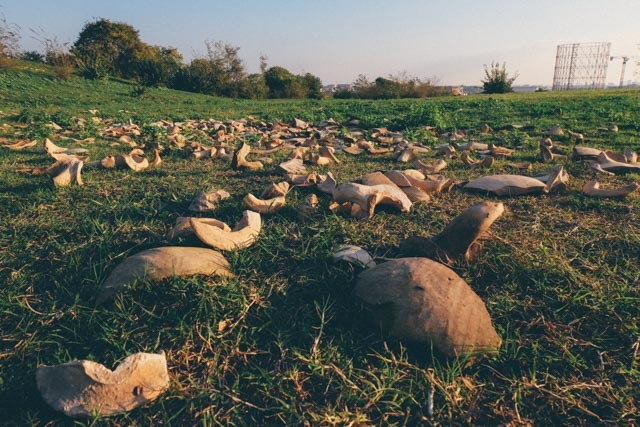 If you’re feeling adventurous and want to discover a (literally) hidden relic, check out Monte Testaccio: a man-made hill built with smashed clay urns. In the heyday of the Roman empire, local olive production couldn’t keep up with the demand. Hence the Romans began importing olive oil from other places like Spain, Tunisia, and Libya. The oil was stored in massive clay jars called amphorae, some of which were as tall as half a person and required two people to lift. The amphorae had stubby feet for its long journey overseas via ship, and sturdy handles for efficient transport. These amphorae were carefully crafted and marked with the date and origin of the olive oil inside, but because oil turns the clay rancid over time, the jars couldn’t be reused. Instead, the Romans systematically smashed the pots and stacked them to create Monte Testaccio. 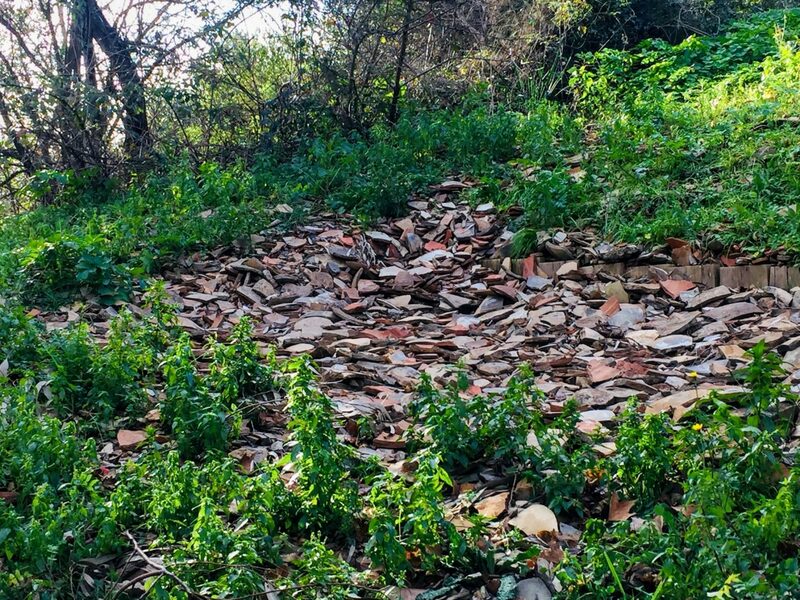 In fact, the name of Testaccio neighborhood’s eponymous mountain comes from a combination of the words testae, which means shards of earthenware jars, and coccio, which describes a rough terracotta. Archaeologists believe that the hill (formerly a dumpsite) started around 140 BC to 250 AD, but that’s only based on excavations of the top levels. It’s possible the bottommost pots have been there since the first century BC! 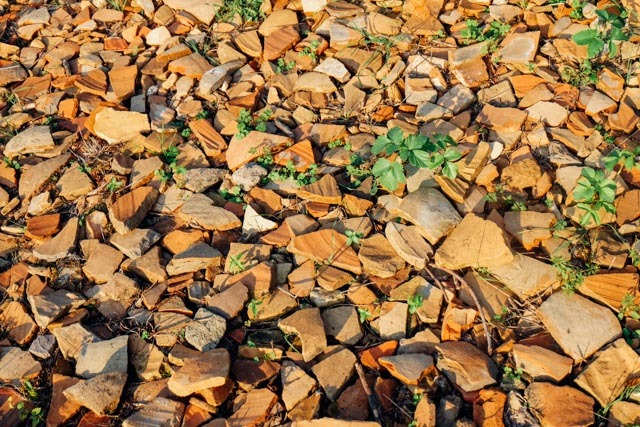 Experts estimate that the hill is made up of an astounding 53 million discarded pots. Today, Monte Testaccio – also known as Monte dei Cocci- stands 35 meters (115 ft) high and 3330 meters (10925 ft) across the base. When you first enter, you’re welcomed by some steps an a wide, tree-lined avenue. Upon closer look at the ground, you’ll see that what you’re stepping on isn’t just dirt, but bits and pieces of pottery. 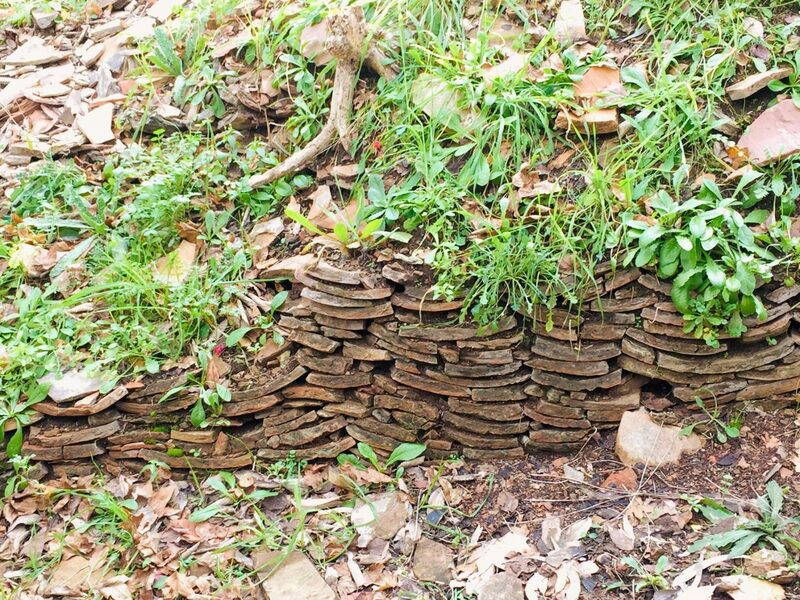 As you climb the mild slope, look to your right to find stacks of excavated pottery. Some are loose and upended, while other sections preserve the tightly synchronized pattern from centuries before. You’ll also find wooden supports that archaeologists have installed to prevent the hill from collapsing during excavations. 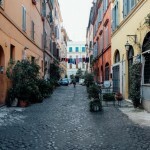 At the top of the hill you’ll get vast, panoramic views of Rome. 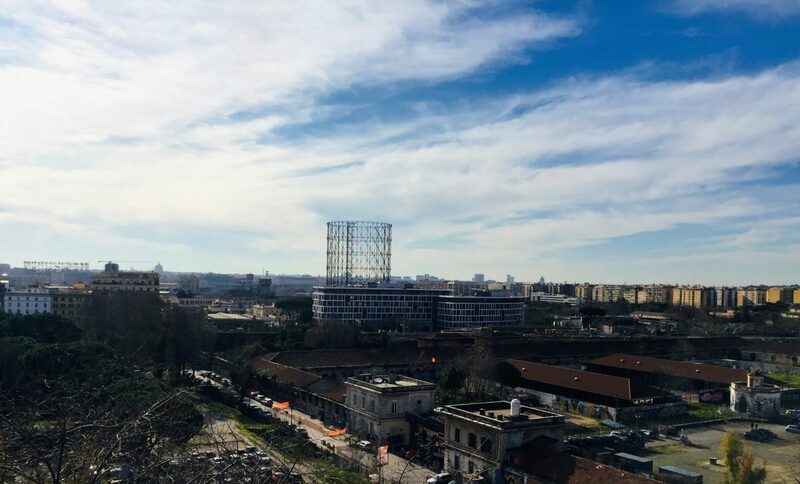 You can see everything from St. Peter’s Basilica to the cylindrical gasometers where Rome used to store natural gas in its pre-electricity days. 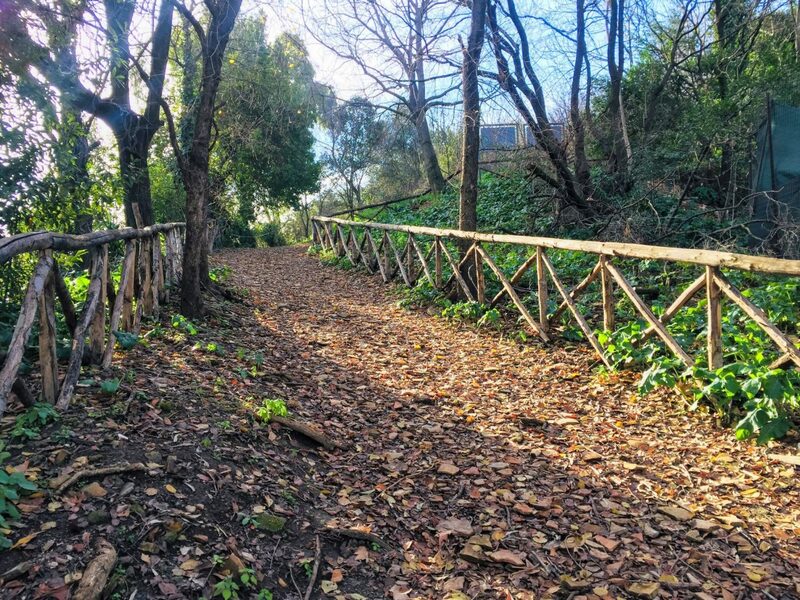 Monte Testaccio is an important archaeological site that has been covered by various documentaries. Admission requires a phone reservation by calling +39 060608, but the unique history and easy transportation options make the extra effort worth it. 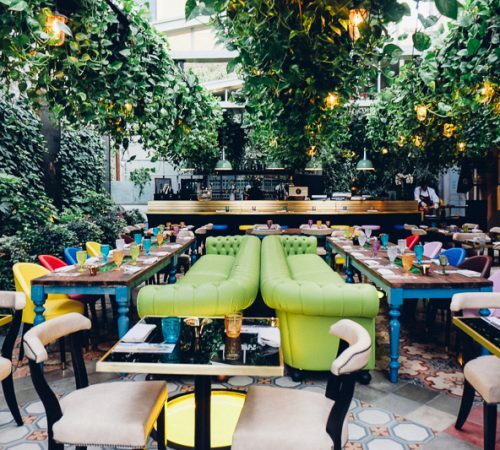 Plus, it’s located in the heart of Testaccio, so you can stop by Testaccio market afterwards for a delicious lunch of local Roman specialties and affordable shopping! You can find more info about admission here. 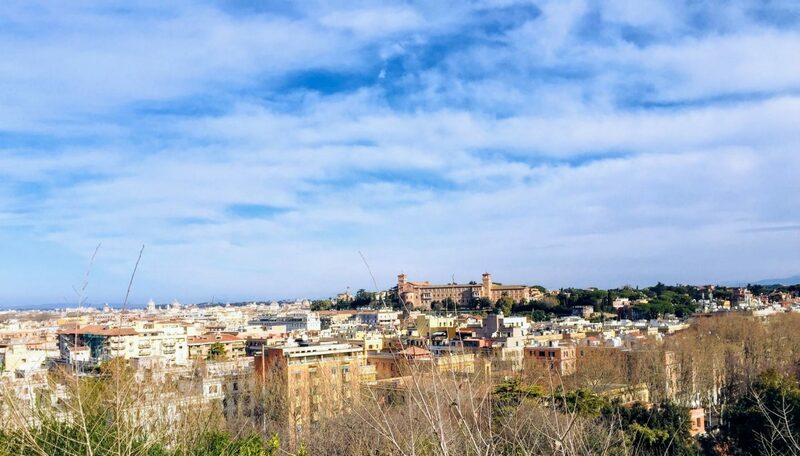 And if you can’t quite plan a visit to walk on top of Monte Testaccio, you can get an idea of how the mountain is constructed by eating in the dining room at Flavio al Velavevodetto. 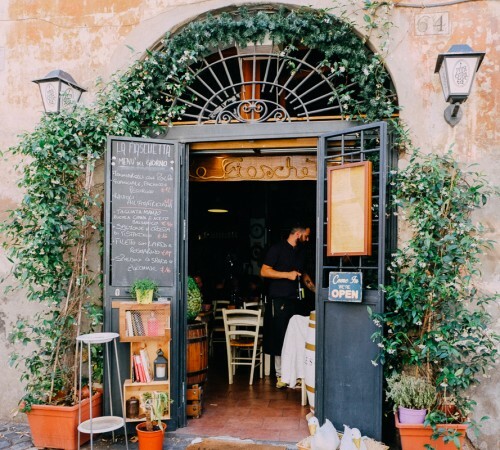 The Roman restaurant is one of several carved into the side of Monte Testaccio, but it has installed glass windows inside that offer a glimpse at the ancient, broken and stacked olive oil pots. Such a cool place with a cool history! I love that oil was like gold even then, and the pots? Disposable! 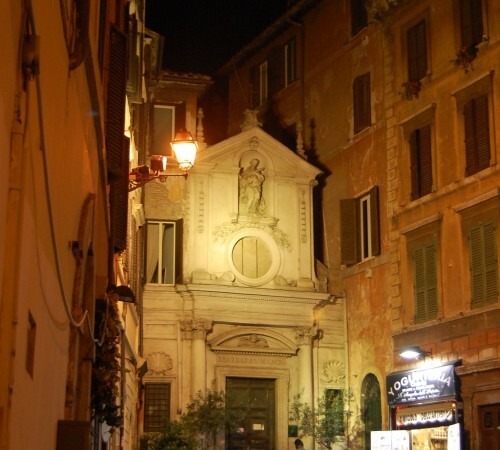 I’ve always been fascinated by Monte Testaccio, but have not been to mainland Europe yet. Thanks for the vicarious visit. Neat stuff! I hope you have a chance to visit one day soon! I teach history–I guess I was luckier than I knew–I visited Tesstacio FORTY years ago, as a college student– history major even then… and back then, nobody gave a damn… NO fences, gates, signs, etc… and no one around… quiet, peaceful… ignored… and it was LEGAL.. Took a couple of little pieces home which I still have. Figured–since it was legal at the time– I’m not exactly “looting” under the circumstances…. with millions of broken pieces around…but I can see why they would restrict things now…. What an incredible way to visit the site! 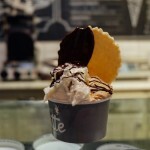 Great article, and thank you for the Ketumbar guided tour and lunch trip (they still do it). So glad to hear that! Hope you enjoyed the unique trip up the hill!